And then there’s the surprise star turn. Optoma’s UHD51 will project 3D in 1080p with a 144Hz refresh rate – and it looks glorious. 3D images exhibit extreme depth with minimal crosstalk. Unsurprisingly, there are no 3D glasses supplied, so you’ll need to invest in a pair of Optoma’s ZD302 DLPLink spex. But it’s worth the expense. The projector does an excellent job boosting brightness to compensate for these shuttering specs, thereby maintaining contrast and colour vibrancy. The menu for Disney’s Tangled 3D, which features a plethora of airborne lanterns, looks invitingly deep, with each lantern tightly defined. Tangled‘s ‘Meet Jack Ryder’ sequence, in which the scoundrel flees pursuing horse-mounted assailants, enjoys grin-inducing dimensionality. 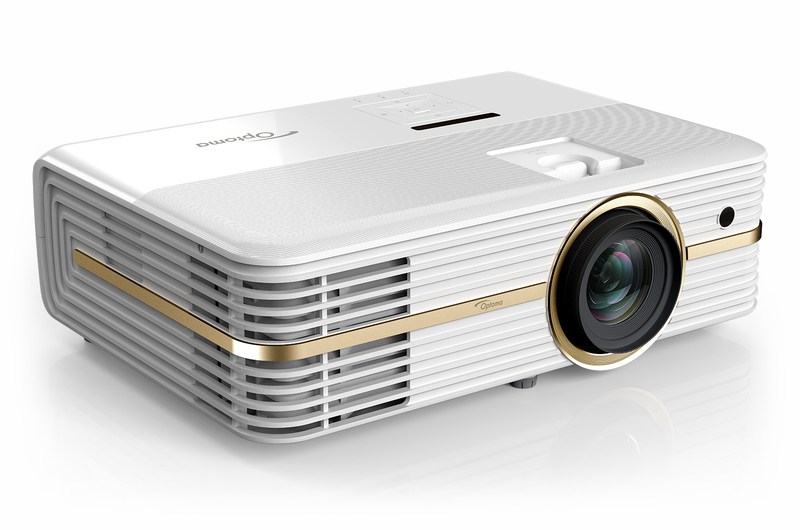 Note that with 3D content, the projector locks to a 3D display mode. You don’t get to choose from any other image preset. This entry was posted on December 29, 2018, 7:48 pm and is filed under Projectors, Review. You can follow any responses to this entry through RSS 2.0. You can leave a response, or trackback from your own site.